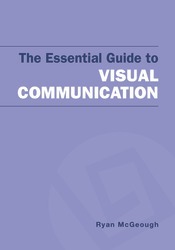 The Essential Guide to Visual Communication is a concise introduction to the evolution, theory, and principles of visual communication in contemporary society. This guide helps students develop the skills they need to become critical consumers of visual media by examining images through the lens of visual rhetoric. Students see how images influence and persuade audiences, and how iconic images can be repurposed to communicate particular messages. Images selected and discussed throughout the text highlight examples of visual communication from earlier generations and the current digital environment that students encounter in their everyday lives.